Capture Photography Festival Society members are invited to attend the 2017 AGM. Non-members who wish to attend can purchase a membership at the AGM or from the Capture online store for $10. Attendance at the AGM affords an opportunity to meet the Capture staff and Board of Directors, as well as fellow members of the Capture Photography Festival Society and the Vancouver arts community in general. Members will hear reports on programming implemented as part of the 2017 Festival and review financials for the year ended May 31, 2017. 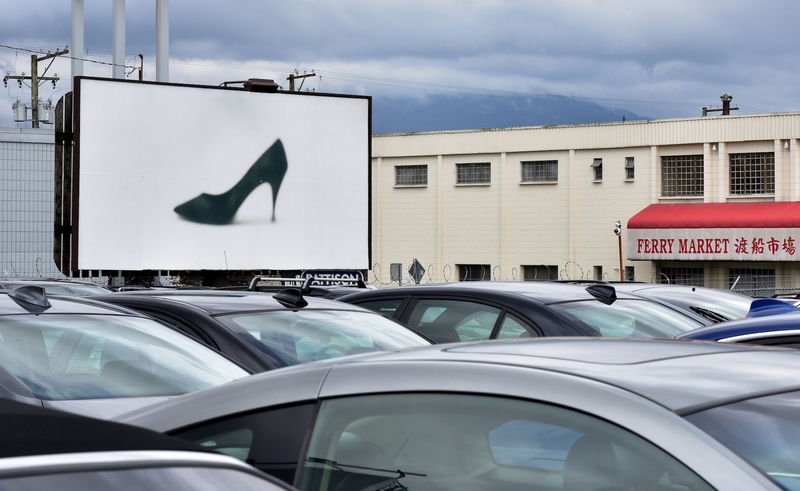 Image: Barb Choit, part of the Inorganic Seductions Billboard Public Art Project 2017. Photo by roaming-the-planet.